Combine this brochure with Gourmet Goodness and Chocolate Delighs and you have the ability to offer your community top selling items of quality you can be proud of. To sign up for this or any brochure fundraiser click the link below. To sign up to sell Kids Are First, click here. Here is a great choice to combine with Kids are First that can be in addition or as an alternative to the chocolate brochure. We have taste tested and approved these awesome food items and know you’ll love them too. 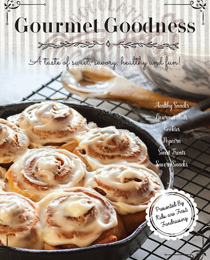 To sell Gourmet Goodness click here. You can run this brochure by itself or add it to one of our other brochures to maximize your sales. Combine this brochure with gourmet delights or chocolate delights and have an amazing Spring fundraiser. Contact your rep to discuss prize program, custom kick-off assembly and more. To sign up for this fundraiser or any brochure fundraiser click the sign up button below. To sign up to sell Simply Spring, click here. This brochure can be sold by itself or add to one of our other brochures for maximum sales 45% profit to school. You can run this brochure by itself or add to one of our other brochures for maximum sales. To sign up to sell Mrs. Fields, click here. Try these inspiring, encouraging, motivating, positive and uplifting chocolaty, gourmet dipped fortune cookies for your next fundraiser. Inside each cookie you'll find a positive, uplifting message that will work your heart and educate your mind. No one can resist the FUN in opening a fortune cookie. They sell for $1.00 each and come in 60 cookie take out boxes. Each master case includes 4 take out boxes. To sign up to sell this unique fundraising item, just click here. Indulge in the irresistible Van Wyk Sweet & Salty Pretzel Rods. Simply perfect! The rods are dipped in milk chocolate and rolled in deliciousness. The mixture of the salty pretzel with the sweet chocolate and toppings is sure to satisfy all cravings. Pretzel rods sell for $1.00 and contain 60 rods per student carrier. There are four carriers per master case. To sign up to sell pretzel rods for your group, click here. Sell these amazing dollar chocolate bars that everyone loves! Certified peanut-free, each carrier comes with 18 creamy caramel, 18 roasted almonds, 14 crispy rice and 10 milk chocolate. That makes 60 bars per carrier and 4 carriers per master case. Each carrier case comes with a convenient easy-to carry handle. To sign up for your group, click here. America's Variety pack made with premium chocolate and peanut free. Each carrier pack contains 12 creamy caramel, 16 milk chocolate and almonds, 12 crispy rice, 8 milk chocolate, 8 dark chocolate with almonds. There are 60 bars per carrier and 4 carriers per master case. To sell America's Variety pack, click here. 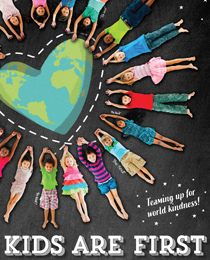 Let Kid Power Thon create an amazing fundraising event for your school! Choose a theme your students will love such as a bubble run, color run, glow run and more! Make high profits and provide an awesome experience for all. 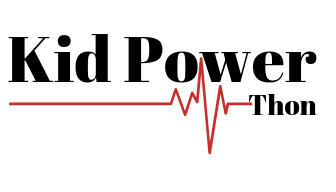 Learn more on our Kid Power Thon site. 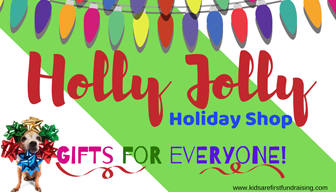 Kids love Holly Jolly Holiday Shop! It’s a fun event you can bring to your school allowing kids to do their own holiday shopping. Kid priced items with most ranging between $1-$5. Our Shop includes free flyers, letters, banners, door banner, gift bags, shopping bags, table clothes, pricing tents and more! Plus, if you are local to Southern California we have “shopping days” where you can come in and hand pick items to refill your shop OR we can ship quickly to your school. You won’t want to miss our EARLY SIGN UP BONUS where you can earn extra bonuses by signing up before July 15th.